The study found mixing cannabis with tobacco was far more popular in Europe than elsewhere in the world. Cannabis smokers who mix tobacco in their joints are more likely to have symptoms of dependence, according to research that suggests encouraging them to smoke it on its own to reduce harm. In the first study on the popularity of different modes of cannabis consumption around the world, researchers found a link between using cannabis with tobacco and addictive behavior. Hindocha and colleagues investigated the ways people smoked cannabis by analysing responses from 33,687 cannabis users from 18 countries to the 2014 Global Drug Survey. They found that those who did not mix cannabis with tobacco were far more motivated to quit and thus more likely likely to seek professional help for cannabis and nicotine addiction. Cannabis users who favored non-tobacco routes were 61.5% more likely to want professional help to use less cannabis, and 80.6% more likely to want help to use less tobacco, than users who prefer tobacco routes. They also had 10.7% higher likelihood of wanting to use less tobacco, and were 103.9% more likely to be actively planning to seek help to use less tobacco. The results suggest that people who regularly mix tobacco with cannabis are more at risk of psychological dependence than people who use cannabis and tobacco separately, without mixing them, or use cannabis alone, the researchers said. The study, published in the journal Frontiers in Psychiatry, also found that mixing cannabis with tobacco was far more popular in Europe than it was elsewhere in the world. Depending on the country, between 77.2% and 90.9% of European cannabis users used tobacco in their spliffs, blunts or bongs, while only 51.6% of Australian and 20.7% of New Zealand cannabis users did so. Tobacco-cannabis mixes were least popular in the Americas, with only 16% of Canadian, 4.4% of US, 6.9% of Mexican, and 7.4% of Brazilian cannabis users combining the two. 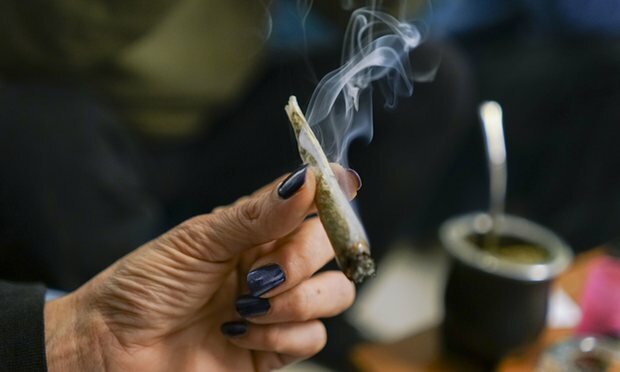 Users who mixed cannabis with tobacco typically chose to smoke it in joints, with 93.4% saying their favorite route of administration was to wrap the mixture in rolling papers. Non-tobacco users had more diverse tastes, but their most popular tool was a pipe, preferred by 11.7%. Noting research which suggests that simultaneous users of cannabis and tobacco are 5.1 times more likely to experience cannabis dependence, the researchers said work should be done to find ways to encourage cannabis smokers to exclude tobacco from their spliffs, or to take up alternative forms of use, such as vaporizing.